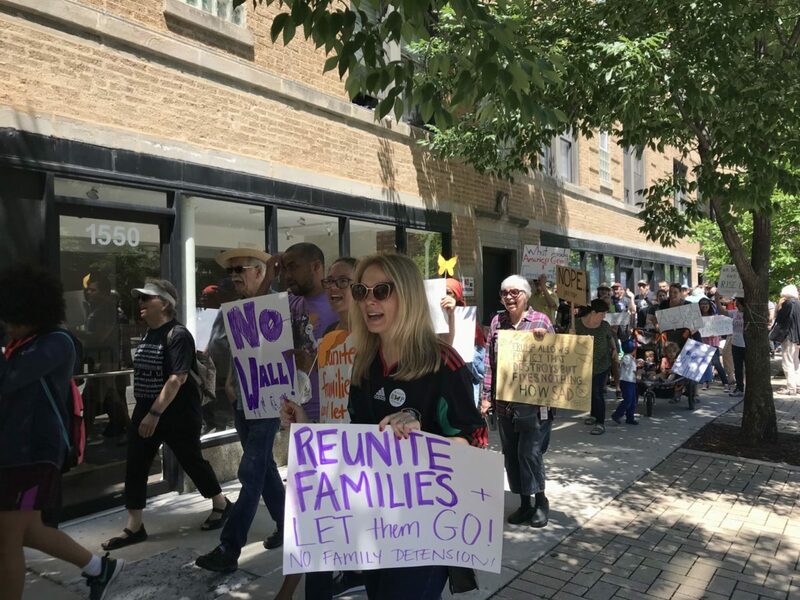 Mary Norkol | The Phoenix At a Rogers Park rally in June, protesters called for the end of the family separation practice as news spread about child detention. Following national criticism of the Trump administration’s “zero-tolerance” policy on immigration this summer, Loyola hosted an event Monday in Damen Cinema for the community to discuss the practice, drawing a crowd of around 35 people, organizers said. 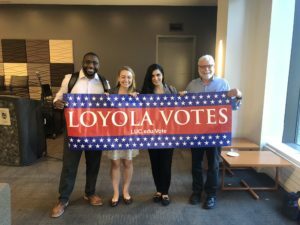 Loyola has played an active role in issues surrounding immigrant rights in past years, specifically in support of the university’s undocumented student population. Efforts have included letter-writing campaigns and “Share the Dream: Undocumented Student Ally Training” for faculty, staff and students. About 140 Loyola students are undocumented, according to a 2017 report by The Phoenix. The director of Loyola’s Center for the Human Rights of Children (CHRC) Katherine Kaufka Walts, J.D., and other speakers shared their research and experiences involving immigration policies, primarily separation of immigrant children from their parents. Kaufka Walts began the discussion by covering immigration policies and the impact of these practices on immigrant children and families on a national scale. “Escape from trauma, unstable political environments, gang violence and domestic instability and daily fear of sexual assault are common reasons for families immigrating to the United States,” Kaufka Walts said. Immigrants seeking asylum or safety at the border is legal, according to Kaufka Walts. With recent modifications to immigration policies and practices, it now is seen as a civil misdemeanor, Kaufka Walts said, which she compared to breaking the law while jaywalking. Illegal immigrants are being charged with a civil misdemeanor at the border, which gives the U.S. government the authority to remove children from their criminally prosecuted parents and put them into detention centers, Kaufka Walts said. Adam Avrushin, J.D., associate director of CHRC, and Lincoln Hill, a graduate assistant at the interdisciplinary center, spoke on the topic on a more local level. Avrushin outlined a project which was funded by Loyola’s CHRC last year in Chicago. The study found resources should be improved for immigrants in Chicago. “Community providers and schools lack resources to provide culturally sensitive bilingual, mental health, and family support services,” the study said. If there are services available to undocumented immigrant children, fear of government deportation or retribution hinders them from utilizing them, according to Avrushin’s study. Avrushin said more research is needed, but is not currently underway. Hill said this event was held during the beginning of the school year because of the recent changes made to immigration policies impacting family separation. CHRC recognizes Loyola students might have questions regarding this global issue, Hill said. Hill said Loyola, as a Jesuit community in Rogers Park, a diverse neighborhood affected by these changing policies, should help because of its commitment to service. Kaufka Walts said she looks for action in the Loyola community to rise above the issue and become involved on a local level in response to major national headlines. 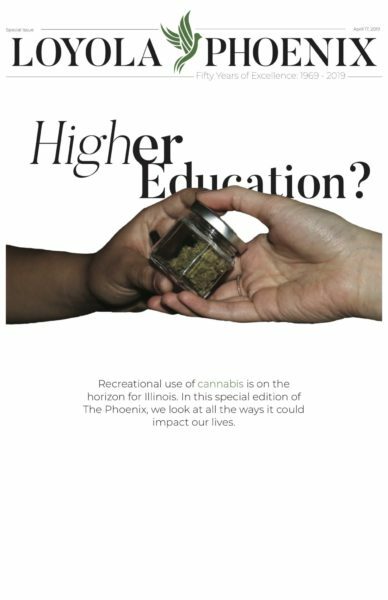 To access presentations, research and more resources on this social justice issue, students can access LUC.edu/chrc or visit the CHRC center in Cuneo Hall 322.